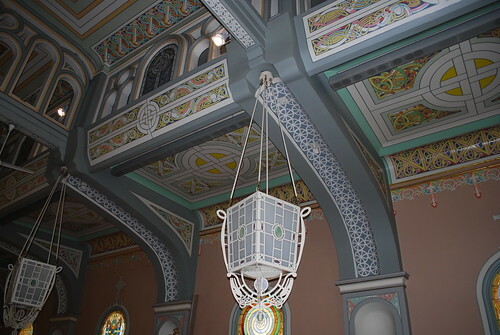 The interior of Old St. Patrick's church greatly reflects its heritage. There isn't much on the outside to identify it as an Irish church. Oh there's the signage and the front doors, but everything else is neo-Romanesque. If you approach the church from the west, it looks like any other older brick church in Chicago. But when you step inside, the explosion of Celtic/Irish design hits you. It's painted, everywhere. 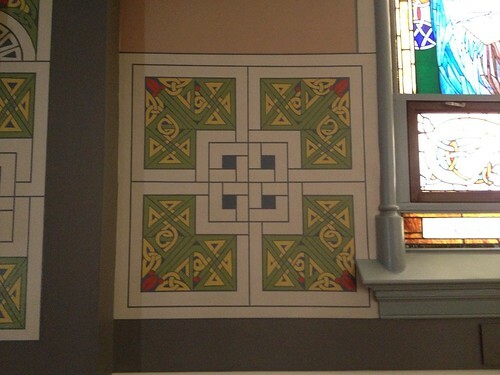 There are Celtic knots at the corners of the stained glass windows. 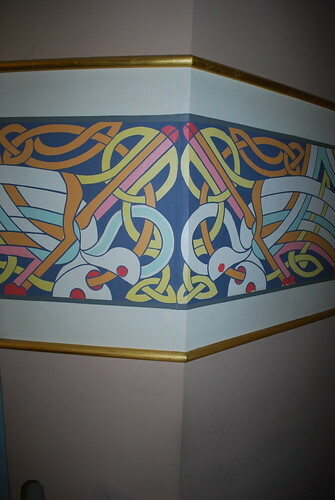 There are Celtic knots at chair rail height on walls without windows. 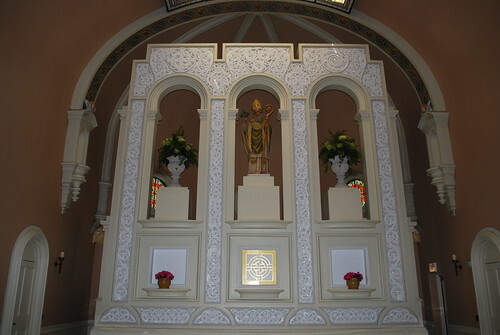 Carved wood surrounds the statues of Mary and Joseph at the front of the church. 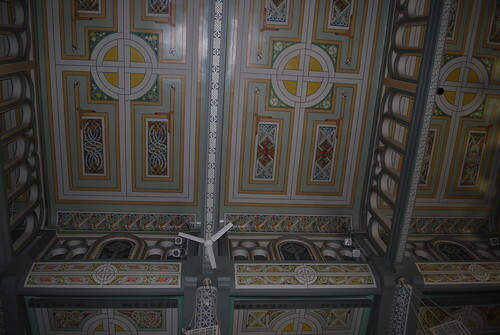 The altar itself is surrounded with this intricately carved design. 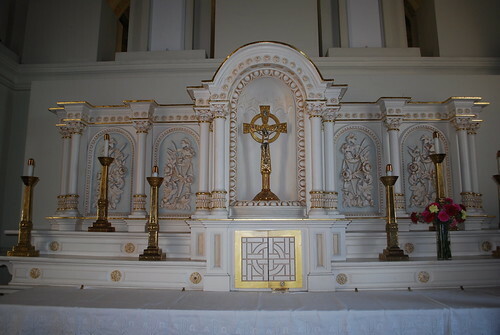 The priest's altar, behind the main altar, is not as intricately Celtic. It's more a reflection of Catholicism than of the Irish. This, I was told, is an original piece. 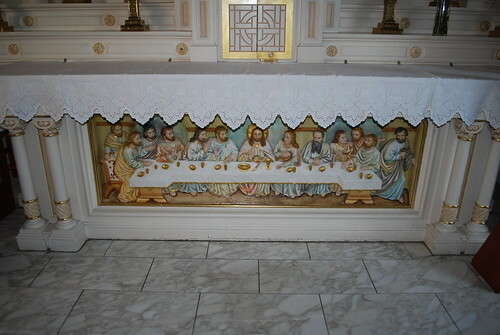 The front altar has been redone over the years. This has been restored several times, but is original. 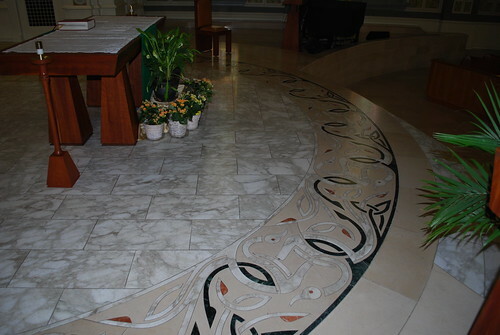 The marble floor in front of the main altar extended the theme of Celtic knots. 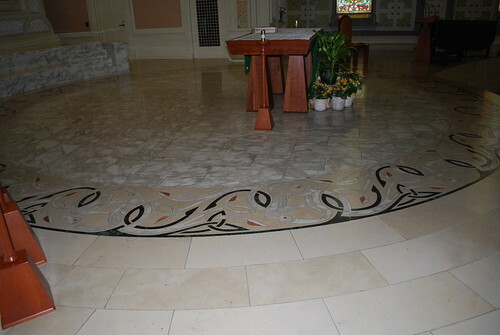 This is inlaid marble. It's just beautiful. 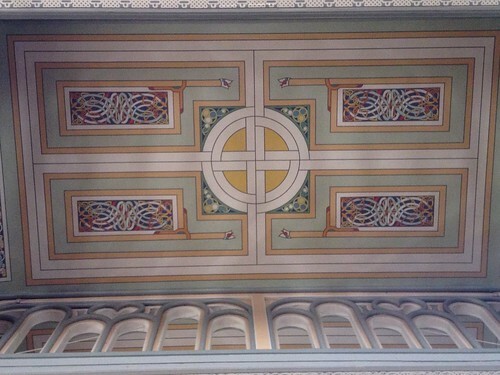 But the culmination of the integration in architecture and design is above you; the ceiling. It is absolutely breathtaking. The mix of color. 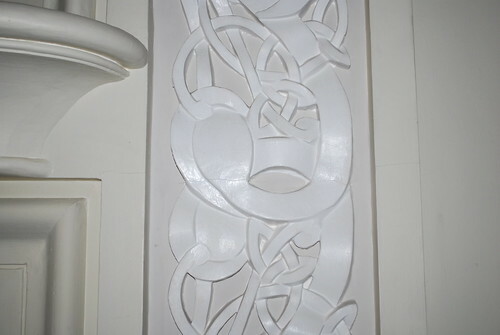 The intricacies of the Celtic designs. 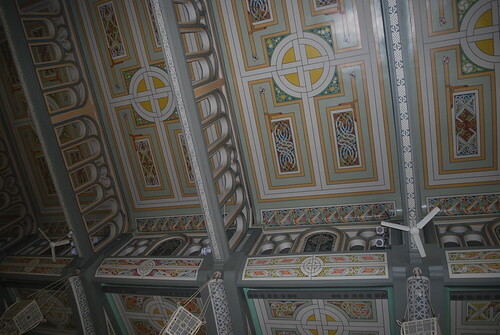 Every inch of the ceiling was covered with paint of some sort. Even the fixture covers were incorporated into the overall theme. I wonder how often they have to do touch-ups. I didn't see much in the way of chipped paint. This place is certainly a treasure.